Sign up today, become a founding member and get exclusive rates, information and offers. Don’t miss your chance to be a part of Windsor’s newest, most impressive fitness club. Spots are limited, so reserve yours now while they’re still available! Reserve your spot, become a founding member today and get our lowest bi-weekly rate. Spots are limited, so reserve yours now! Get a first look at the club, first choice of our personal trainers, and an exclusive gift that includes a MOVATI gym bag and free guest passes. 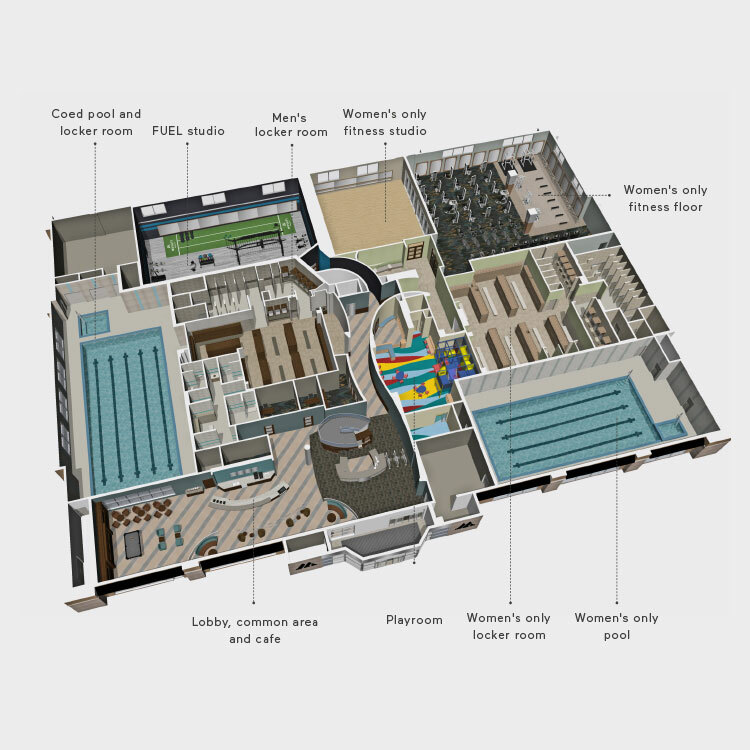 Plenty of gyms have sections for women only, but not many of them have an entire space that includes a workout area, fitness studio, lounge and pool. At MOVATI, we do. For those who crave variety, there is no shortage of options: yoga, hot yoga, cycle, dance, barre and more. Plus, with convenient times on both weekdays and weekends, there's always a class that suits your schedule. At MOVATI, we have studios that are built for specific classes. 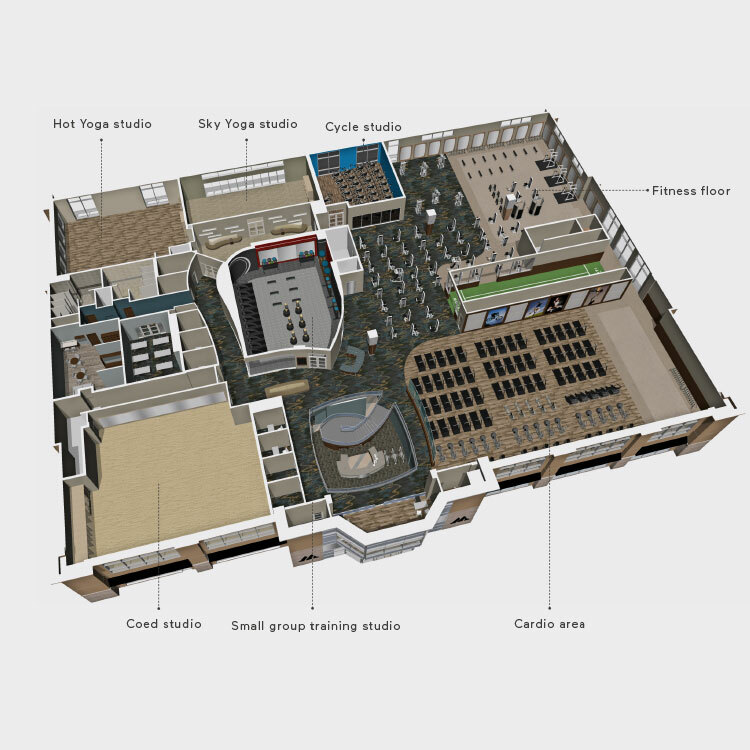 There's a temperature-controlled studio for yoga and hot yoga, an interactive studio for spin, and a separate studio for high-intensity training. In addition to free parking and free WiFi, we also have hot tubs, steam rooms, a cafe and a supervised playroom for children. There are also stations for those who'd like to get some work done before or after their workout. Have You Reserved Your Spot Yet? †Facilities, amenities, services, membership offers, levels, dues, benefits and fees vary by club and are subject to change at any time. © Movati Athletic (Holdings) Inc. 2019. All trade-marks appearing on this website are the property of Movati Athletic (Holdings) Inc. unless otherwise indicated.